Ronan McBride loses the family Pub in a gambling debt. Uncle Joe will turn it into a tanning parlor if Ronan doesn’t give him a hundred thousand euros within the month. 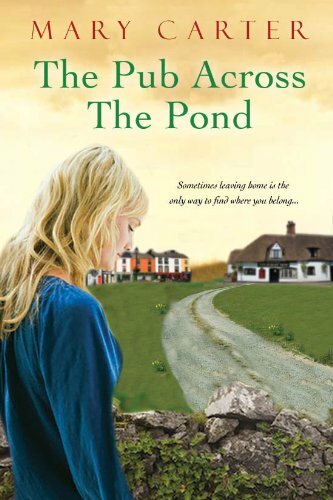 The ‘half dozen’, Ronan’s 6 sisters devise a plan to raffle of the pub for $20 per ticket to Americans to ensure the livelihood of their family’s legacy. Carlene Rivers, always very unlucky, buys one ticket and ends up winning the pub. She in on her way to Ireland, leaving her OCD father behind to run their boxing gym. The “Yank” makes a go at the pub though the locals go to great lengths to let her know she doesn’t belong there. Innovative storyline, incorporating some Irish lore and history. Love isn’t far off when Carlene meets ‘bad boy’ Ronan and tries to not fall for the stunning Irishman. Unfortunately there was an abundance of cursing and sexual language in the book which made it very difficult to read despite the good storyline. I can not recommend this as a family friendly book. Win a KindleTouch from Patti Lacy!